Moon phases are important to Wiccans. 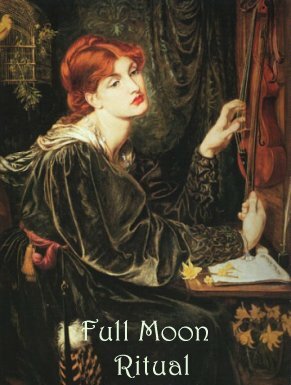 Traditionally, goddesses such as Artemis (new moon/maiden), Hera (full moon/mother) and Hecate (waning moon/crone) have represented the moon's changing faces. Spells that are governed particularly by one of the aspects are often called during the corresponding moon phase. The Maiden governs the aspect of childhood, new beginnings, spring, new starts and the first menstruation of a girl. The Mother represents maturity and motherhood, the harvest, summer, bounty and strength. The crone governs endings, old age, wisdom, justice and retribution and Magickal mysteries. Rituals on the full moon are very powerful. Many Wiccans believe that the time of the full moon holds the great bounty of Magickal energy, given to Witches by the Mother. This means all the spells you want to do will be stronger. It is also more likely that the results will happen faster. Personally, I believe that each cycle of the moon holds the same amount of energy but just attuned to different types of Magick. As the Mother strides the wall between youth and old age, the full moon is the best time for general Magick. A full moon ritual can be very complex. It can have many elements or can just be a loosely tied together group of spells that a Witch wishes to cast. A Witch can also call down the moon. Calling down the moon, means that a Witch calls down the power of the moon and the presence of the Goddess. This can be a very intense experience and I've found it works best with several Witches. A very basic ritual honors the moon, draws power from it and then uses a spell to focus the granted power. A request of the Goddess instead of a spell can also be done. In this kind of ritual, the Goddess is more present than during some of the others. Due to this, a Witch should take care to be respectful and precise. Recently, I did a combined Shamanic and Wiccan full moon ritual. It was a very powerful experience and the blending seemed to work really well. I suggest caution though, as sometimes if you don't know the other people well, the ritual can create a discord. Also, make sure the other pagan practitioner is willing to be flexible. The God and Goddess are happy for Witches to practice with and learn from other religions. Just be respectful of both traditions.